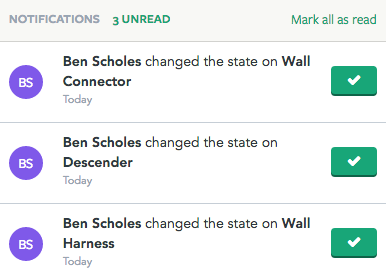 Hence, we’re very happy to announce another new feature: Notifications. We know our customers have a lot on their plate. Papertrail is designed to simplify compliance, health and safety, asset management and inspections – according to the needs of your business and the industry you work in. 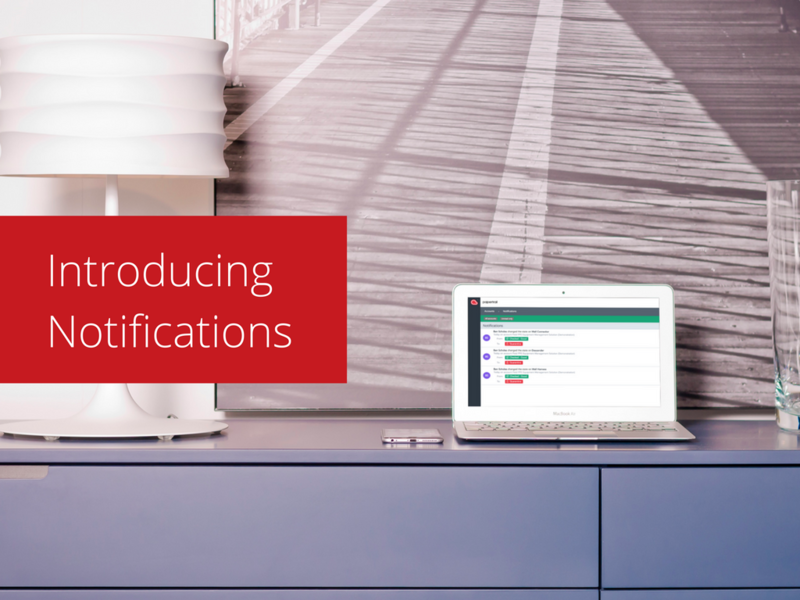 Notifications are designed to make things even simpler. When folders in Papertrail are shared within teams (or with contractors), anyone – depending on permission settings – can change the state of a record. For example, an inspection has been done on an asset, or one of your team updates a record to a different status such as Quarantine (when an asset is taken out of operation, usually for repairs). A ‘change of state’ means an action has been undertaken and recorded in Papertrail. For a few months, customers have benefited from our Activities feature, which “means that every action taken on a Papertrail account, by every user, is recorded and time-stamped. Everything. This gives organisations the ability to create reports (according to user, activity, date, folder, etc.) for every action in the account.” With notifications, we have taken this to another level! All customers will see notifications when they login, clearly displayed as an alert – citing the number of unread notifications – next to their account profile, on the very top toolbar. To find out more, click on your profile to open the simple drop-down menu. In this example, you can see that a team member has updated a record. From this notification you can click more to find what has changed, thereby making it easy to drill down into the record for more information. Once you have read the notification and taken the relevant action, you can click ‘MARK AS READ’ in the top right-hand corner followed by ‘CLOSE’. If however, you need to take action later, you don’t need to do that until you are ready. It will remain as an unread notification, as a reminder to take action as needed. 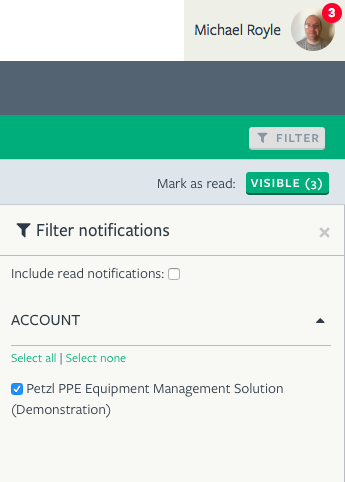 We have also made it easy to view and filter notifications so that you can see at a glance what has been done or still needs to be actioned. You will see notifications on your profile if you are a member of a starred folder within a Papertrail account. This feature was designed with managers in mind. We know all too well the challenges managers face – with direct reports, internal and external customers, and a dozen or more information sources competing for your attention, time is a luxury you often don’t have. Quick information digests are essential for operational efficiency. Risk, compliance and health and safety are mandatory, which means you can’t overlook the details. Being too busy isn’t an excuse. 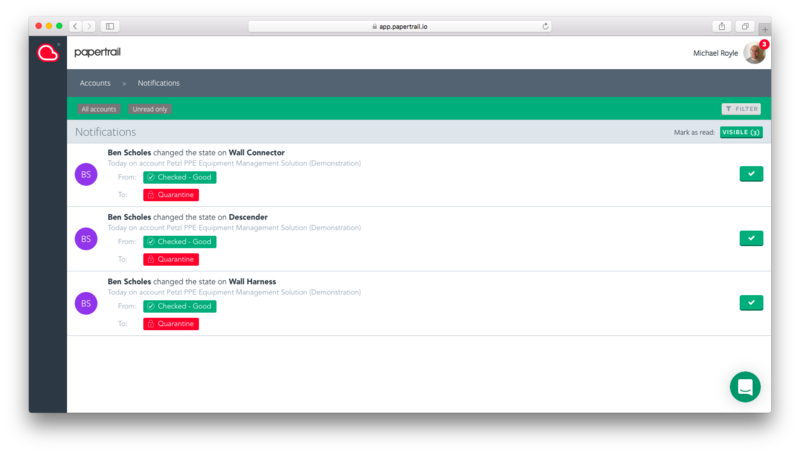 With notifications, managers get all the facts, will complete operational visibility, so they can dig deeper, or sign-off an actionable task, confident in the knowledge the work (inspections, training, repairs, etc.) has been done. I had an email with a daily notification, is this a new feature? I love it – makes it much easier to see which inspections have been carried out. We have provided more information in this and other Help Centre articles about how to change the notifications you receive. Remember to bookmark the Papertrail Changelog, to find out first when our development team launch another useful product update.